Grace’s Supreme Surfboard is coming! 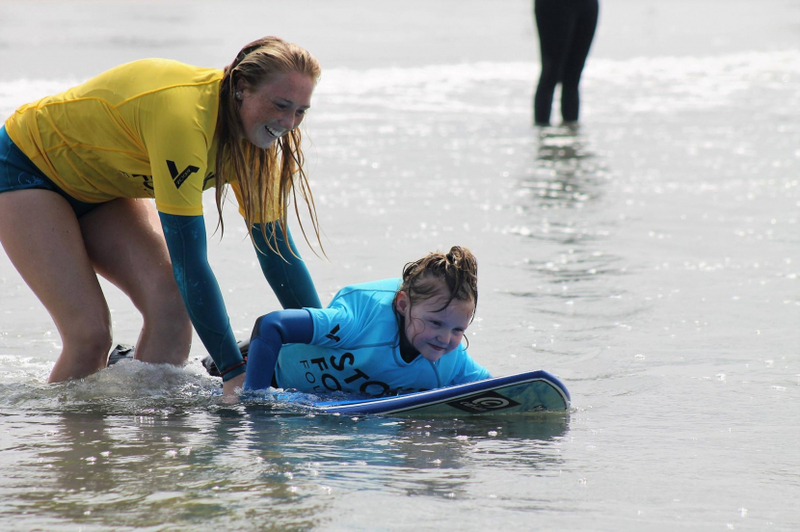 Grace’s Mother, Heather shared that Grace and her coaches are working to create Grace’s custom surfboard! 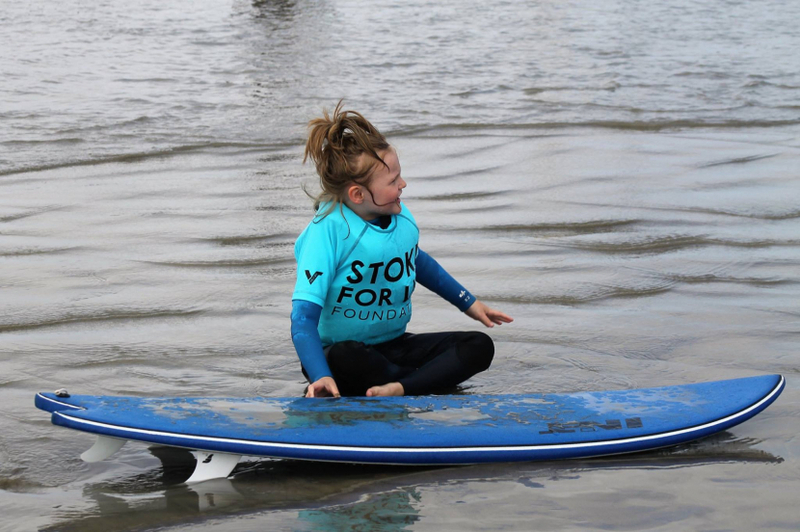 Grace's coach and mentors had asked us to hold off on a custom board for now. We plan to "Frankenstein" her current board with handles and traction pads so that Grace can figure out which set up works for her surfing style. 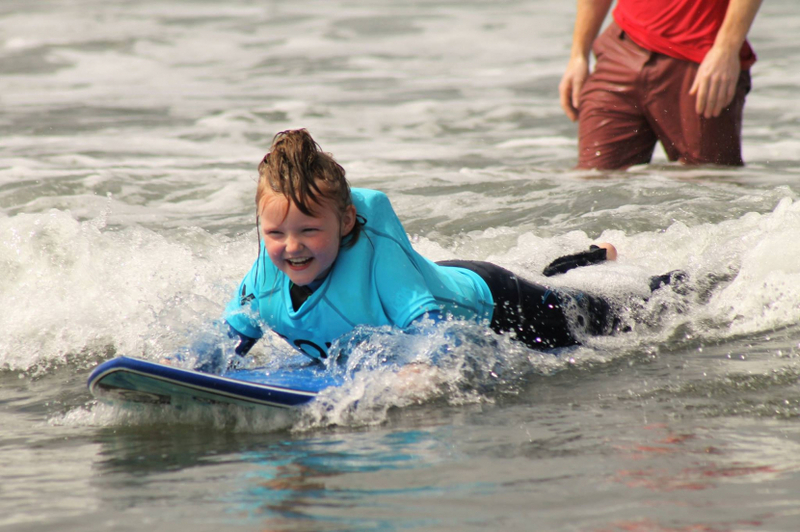 Right now the water is too cold for her to be in for more than 2 waves at a time so it's hard to really see where her groove is, but we should have her board ordered by mid summer! 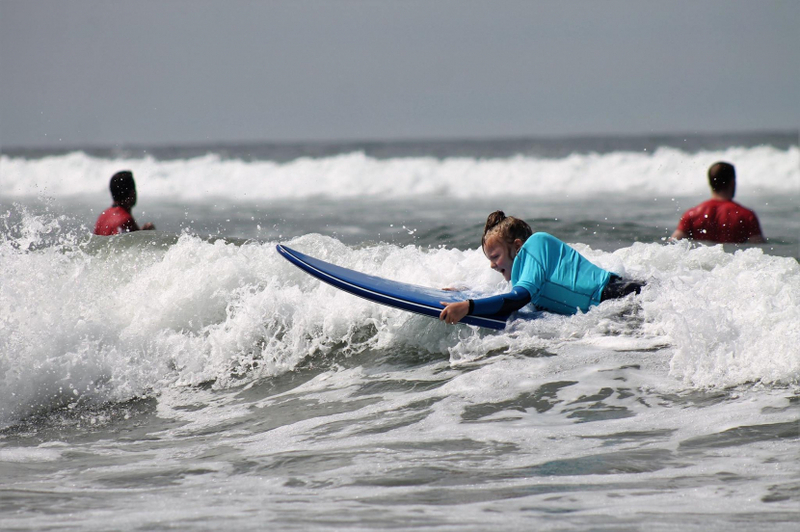 Grace's coach observed her pushing up on her board, like she was getting in position to stand, so Grace and her coach are excited to begin working on her surfing in the kneel position. 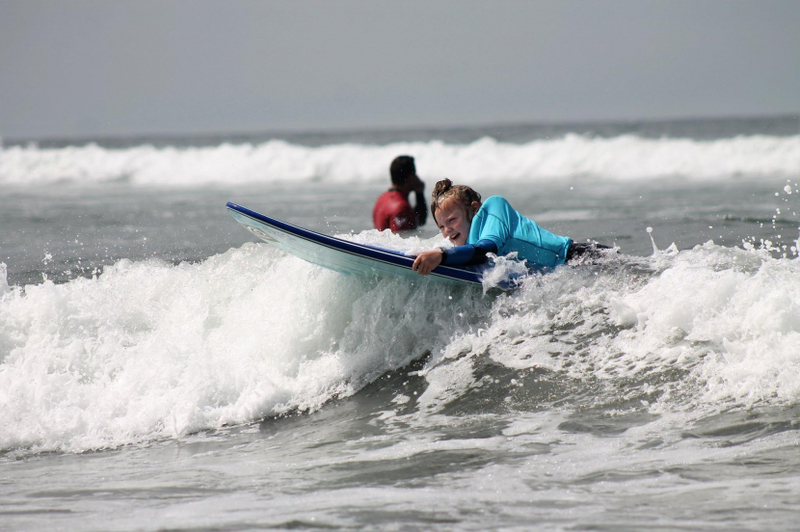 Surfing in the kneeling position will give her the feeling of standing up while still giving her the extra touch points her body needs to be able to balance. Kneel boards are set up differently than prone boards, so we are going to add that set up to her FrankenBoard as well. Her coach will be watching her closely to see which handles she uses the most so we can bring the FrankenBoard to the custom shop and they can make the new board with everything she uses in the exact position and add the extra touches like groves for a kneel board or built up traction pads for her hips on a prone board. Grace will be working with a brand new coach as the water warms up. 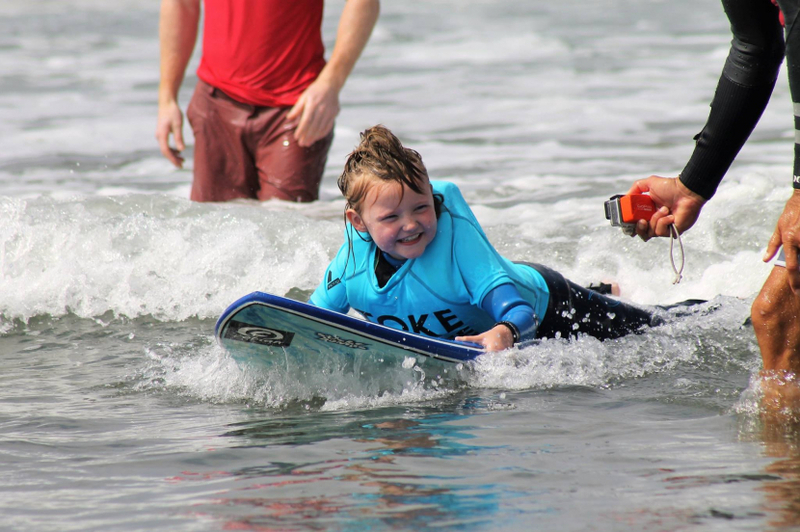 Mike Spikerman or “Spike" is an awesome guy and has been coaching adaptive surfers for a very long time. 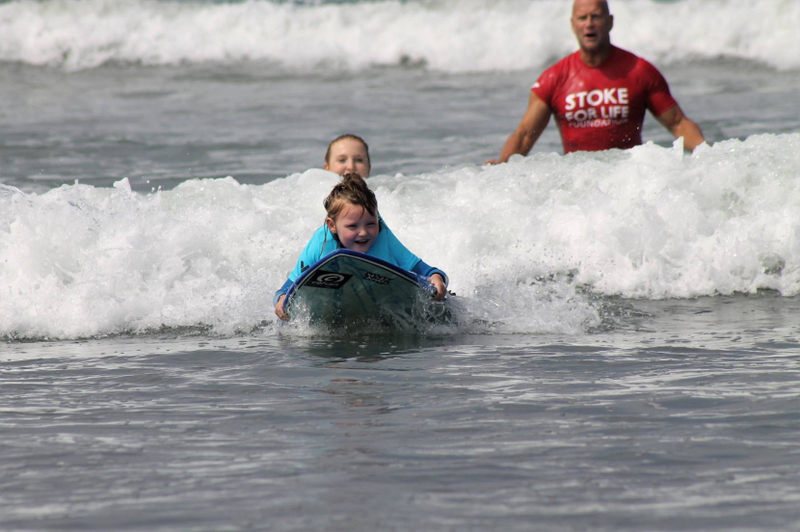 He has been friends with Charles (the stoke for life founder) for 15 years and when Charles told him Grace needed a coach he offered to coach her for free! KCCO Grace and Team! We cannot wait to see the FrankenBoard creation!